The late start day. It’s a problem just for parents, but not unique to work from home parents or even working parents. It throws a monkey wrench in any parents day. Most of the time I work in my pajamas or one of my boyfriend’s oversized t-shirts, depending on the weather. Unless I have to meet my boss there’s hardly ever a specific time I have to be somewhere. I have deadlines but I know what they are and I’m able to handle them because I can work whenever I want. If I don’t sleep well the night before I can take a nap. If I start to lose concentration I can go on a walk. Except one day a month when my kid’s school has a late start and my whole schedule is blown out of the water. You’d think with my superior ability to schedule everything to ensure it gets done and that I am where I need to be when I need to be there I would be able to handle this one little fly in the ointment with grace and dignity. You’d be wrong. I don’t have a “schedule” but I really do have a schedule. I get my kid off to school, make myself some breakfast, and sit down in peace to have a few moments of quiet time (or a tiny nap) before I wake up my computer, login to all the various sites I need to check, and take a gander at the whopping number of new emails in my work inbox. That’s my schedule. 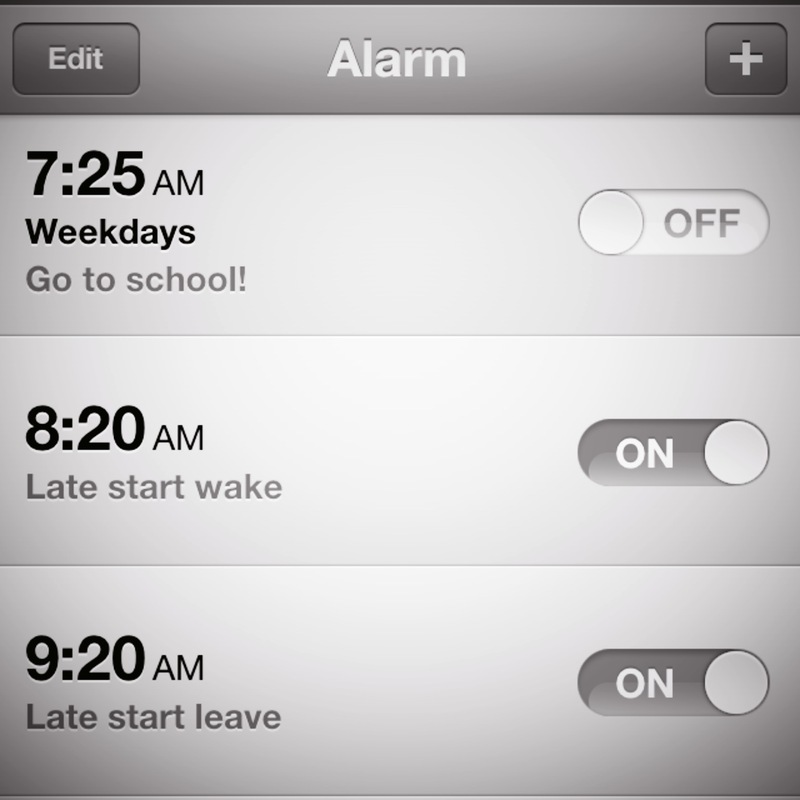 It’s my routine. It works well enough that I almost always have a chance to finish all my work, take a shower, and pick my kid up leaving the rest of the day for the daunting tasks of a stay at home mom. The two hours that late start shaves off my day once a month coupled with the fact that Wednesdays bring additional things to do… Just shoot me now, late start day. On the other hand I did get to sleep until 8am this morning and have a hot breakfast with my girl. Perhaps we call this one a wash? My daughter’s school tacked two extra days onto the weekend (she goes back tomorrow), and I am completely lost! It’s amazing how a little thing can throw everything off. AAL: So her school had a 5 day weekend? That is INfuckingSANE! I know. It’s the charter school from hippie hell!